Something about visiting San Diego brings out the kid in everyone. Minutes from the San Diego Airport, San Diego’s famous attractions and a stone’s throw from America’s Cup Harbour, the Wyndham Bayside San Diego is the perfect place for you to stay and play. 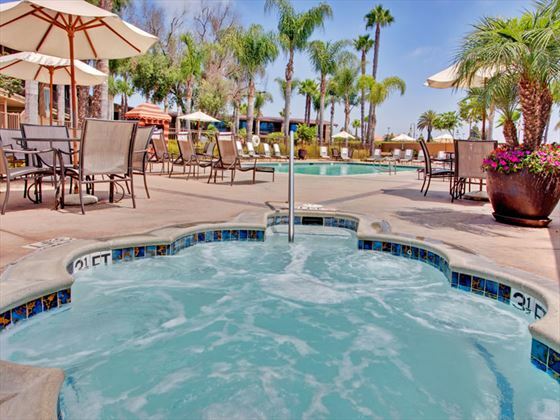 Opposite San Diego Bay, this waterfront hotel offers beautiful city or bay views from all 600 rooms and suites, these offer plush furnishings and comfortable amenities. Relax by the lovely heated outdoor pool and whirlpool or work up a sweat in the state-of-the-art fitness centre, and there is a full-service business centre. Dine at the Clam Jumper- a friendly and popular restaurant, enjoy a prime steak or seafood at Ruth’s or for the more health conscious, grab a tasty bite at Hazelwood’s. 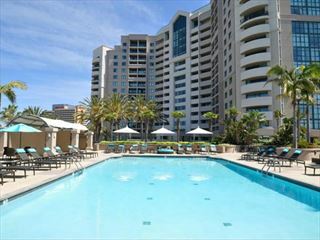 Opposite San Diego Bay on the waterfront, 1 mile from the Gaslamp Quater and 3.4 miles from Balboa Park. Claim Jumper Restaurant & Saloon - Friendly restaurant, perfect celebrating a special occasion. Open 6.30/7am - 10pm. Ruth's Chris Steak House- Famous prime-aged cuts, seafood and bar. Open 5pm - 10pm.